Participants at the Collaborative Kickoff Charrette in January. 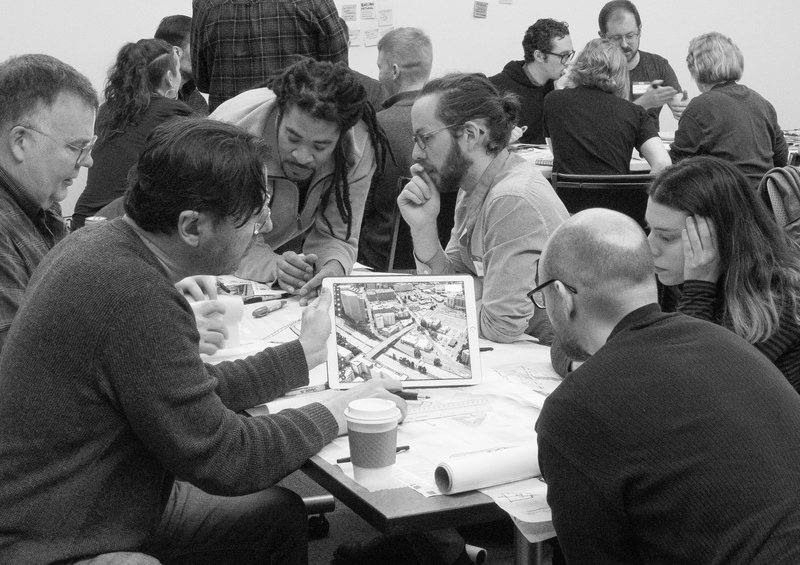 The CHTC, a joint initiative of Lid I-5 and PPUNC, has brought together seven teams of professional designers and community members in an unprecedented urban design effort: re-imagine what the space above I-5 could look like when the freeway is eventually lidded. Comparable cities throughout the U.S. are building lids, such as Dallas, Atlanta, Los Angeles, Philadelphia, Boston, St. Paul – and are defining how cities create new land in their most dense urban environments. The CHTC teams are proposing new open space, pedestrian routes and bikeways, and mixed-use housing to restitch the urban fabric across I-5, reconnecting the Capitol Hill, First Hill, Downtown, and Denny Triangle neighborhoods. Collab #1, at approximately 30 percent design, is your chance to critique this early work. Collab #1 the first of four presentations in a yearlong design charrette (see below for the calendar; all events are free). The time to get involved is now because the final results of the CHTC will inform the scope of the City’s lid feasibility study. The CHTC teams will also illustrate how new public land can be used to equitably benefit the health, economy, and social connections of our growing community. This program is made possible by a $48,000 Matching Fund grant from the Seattle Department of Neighborhoods and sponsorship by the Seattle Parks Foundation. Our own Scott Bonjukian was cited in a recent public health study out of Columbia University and published in the American Journal of Public Health. 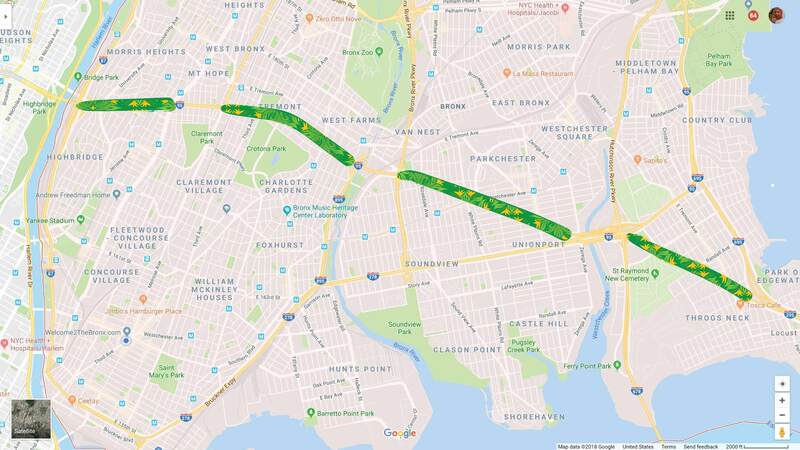 The researchers used computer models to evaluate the health and economic benefits of lidding 2.4 miles of the Cross-Bronx Expressway in New York City. They found a net positive value of over $1,600 per capita, partly through increased property values and lower medial costs, and an extra two months of quality-adjusted life years, which is a combined measure of health and lifespan. Map of the Cross-Bronx Espressway study area. Image by Welcome2TheBronx. The study found monetary gains more than make up for the estimated $757 million cost of building 27 acres of lids. Improved health came from lower pedestrian-vehicle interactions, lower air and noise pollution, and more opportunities for exercise. As we finalize a funding agreement for the I-5 lid feasibility here in Seattle, we’ll be working to ensure public health and environmental quality plays a key role in the analysis.